PORTLAND, MAINE - The Portland Sea Dogs, in conjunction with Baseball Miracles, will host the third annual Baseball/Softball Equipment Drive at Hadlock Field on July 23rd and July 24th. 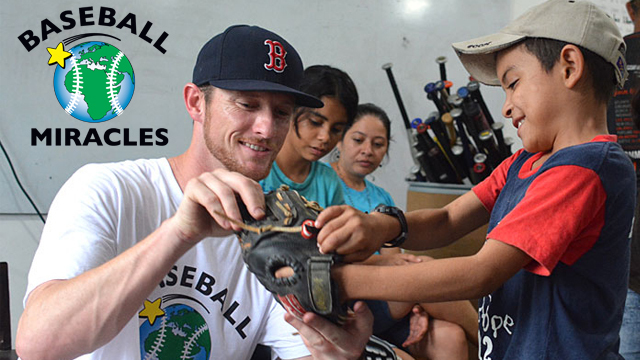 Fans are encouraged to bring new or old baseball equipment to the ballpark to be donated to children who are faced with economical or environmental disadvantages around the world. The Sea Dogs will accept all types of baseball and softball equipment including gloves, bats, catcher's gear, bases, baseballs, softballs, and wiffle balls and bats. A non-profit organization, Baseball Miracles is a team of baseball and softball instructors, founded by Hall of Fame scout John Tumminia, who have joined together to teach boys and girls with economic and environmental disadvantages throughout the world. Sea Dogs' pitcher Mike McCarthy is the driving force behind bringing this initiative to Hadlock Field. McCarthy has been selected by the fans as the Sea Dogs' Citizen of the Year for the past two seasons for his efforts in the community. "I believe baseball is about more than just playing a game. It is indicative of life in many ways and is a fundamental part of development for youth in communities around the world," said McCarthy. "Baseball Miracles is a great opportunity for anyone who has benefited from the game of baseball to give back. From the casual weekend fan to the die-hard memorabilia collector, we are all able to help underprivileged youth around the world benefit from the life lessons that baseball has to offer." Any equipment fans bring for the drive should be brought to the ballpark and dropped off at the Baseball Miracles table in front of the stadium on either July 23rd when the Sea Dogs host the Binghamton Mets at 6:00 PM or Sunday, July 24th when they host the Mets at 1:00 PM. For more information on the drive, please visit www.seadogs.com or www.baseballmiracles.org.